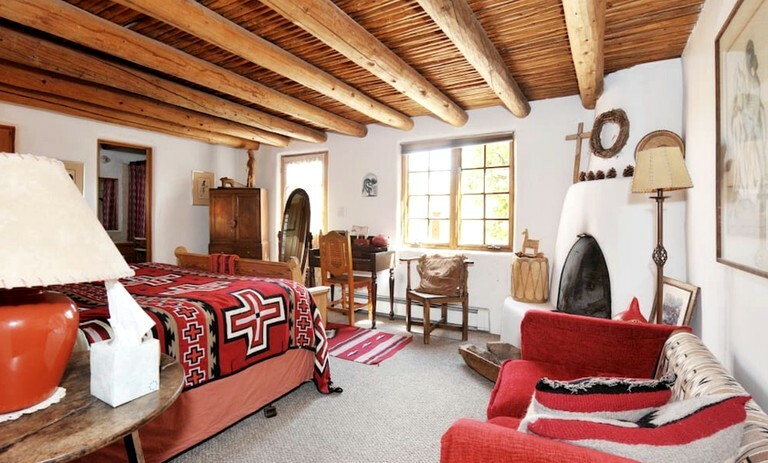 This rustic adobe-style cottage rental is set by a creek on a hillside overlooking the mountains of the Tesuque Valley near Santa Fe, New Mexico. 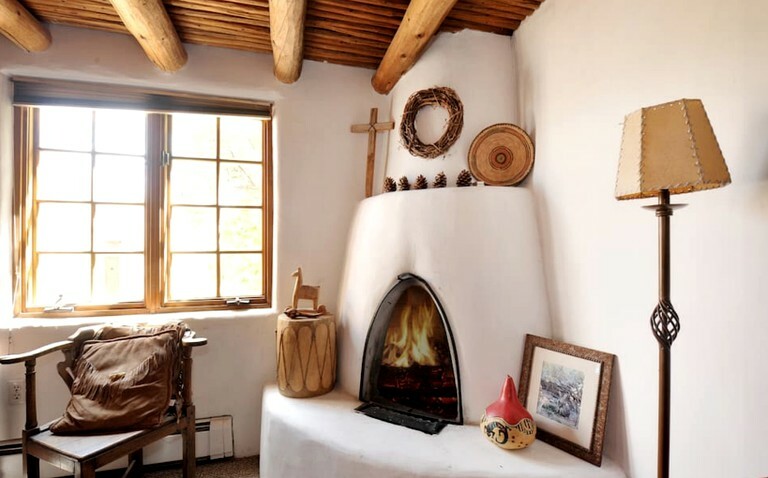 The cottage is the perfect mix of authentic New Mexican-style and comfortable amenities. 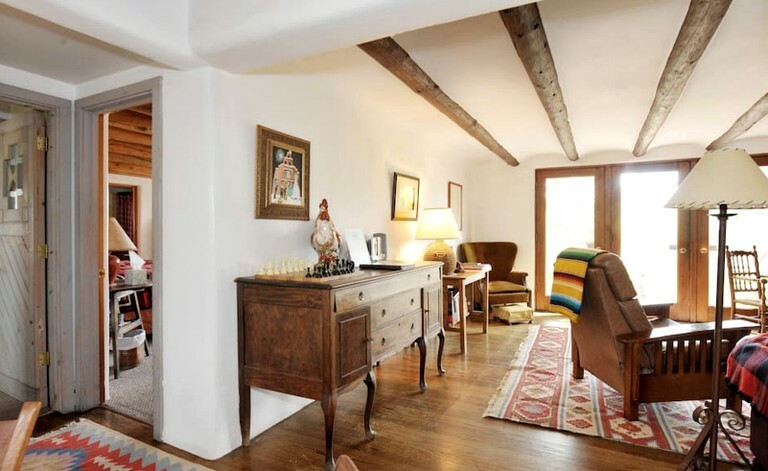 There are two bedrooms, one master with a king-size bed and its own wood fireplace, and one with a queen-size bed. 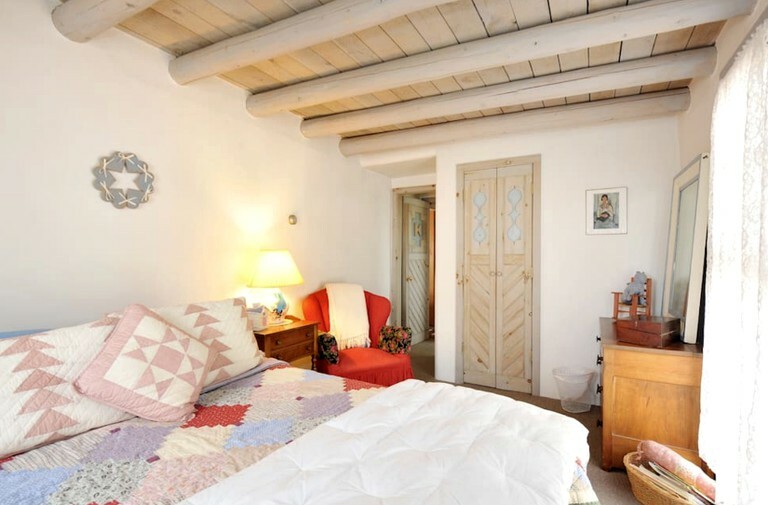 There is also a sofa bed in the living room, so the cottage can easily sleep six. 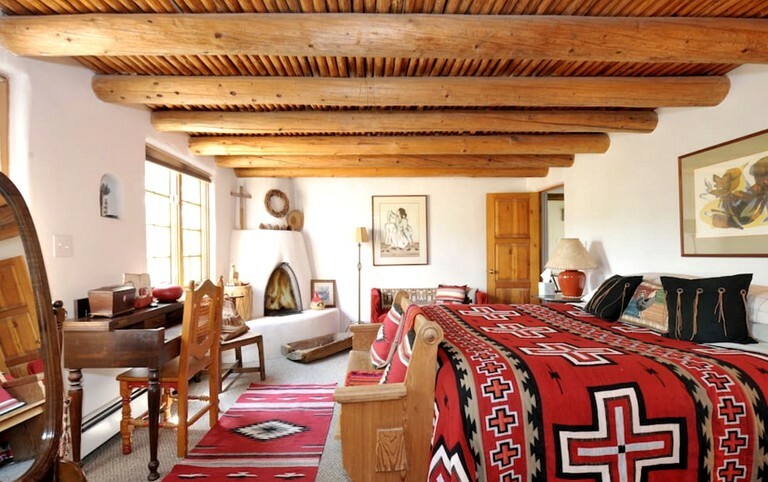 The living room itself is large and bright, with three French doors and a view of the mountains. 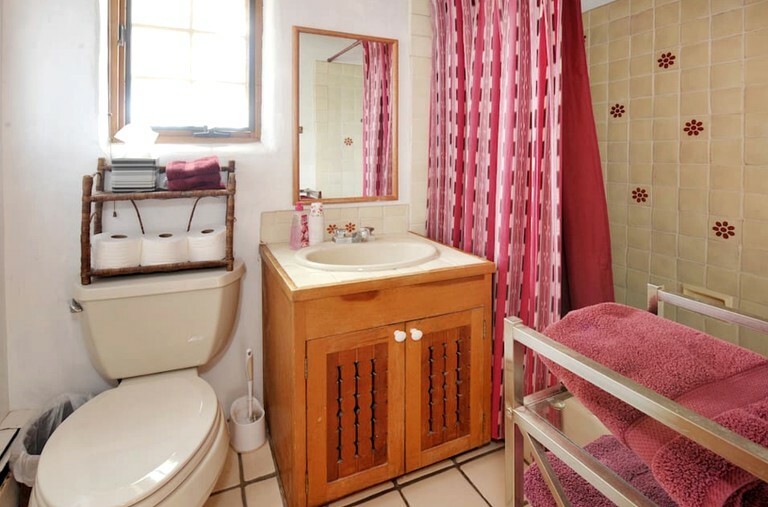 Two bathrooms complement the two bedrooms, one full and the other with a shower. 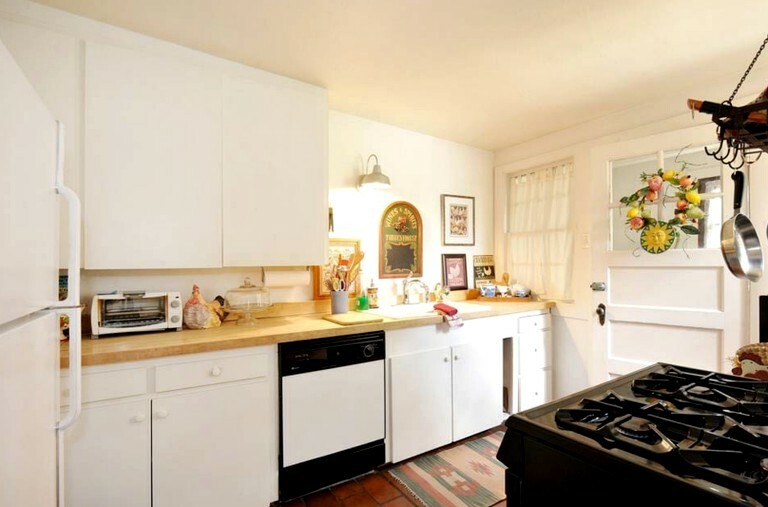 The kitchen is spacious and very well-equipped for any glampers looking to cook for themselves. 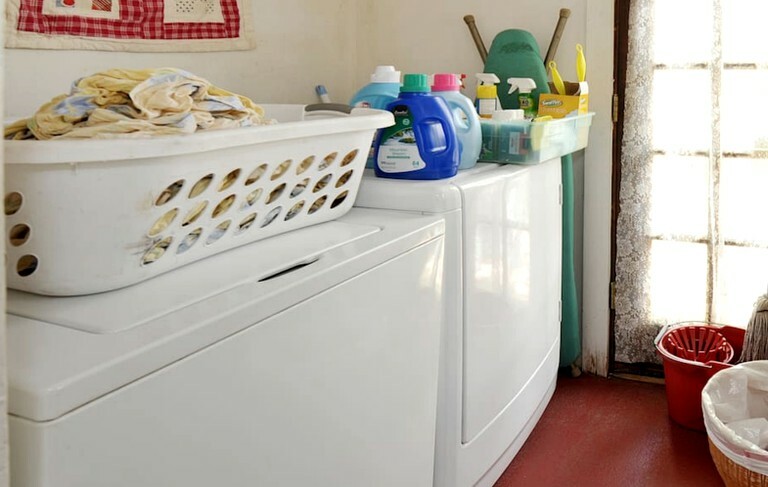 There are a washer and dryer in the home, and towels and linens come provided. 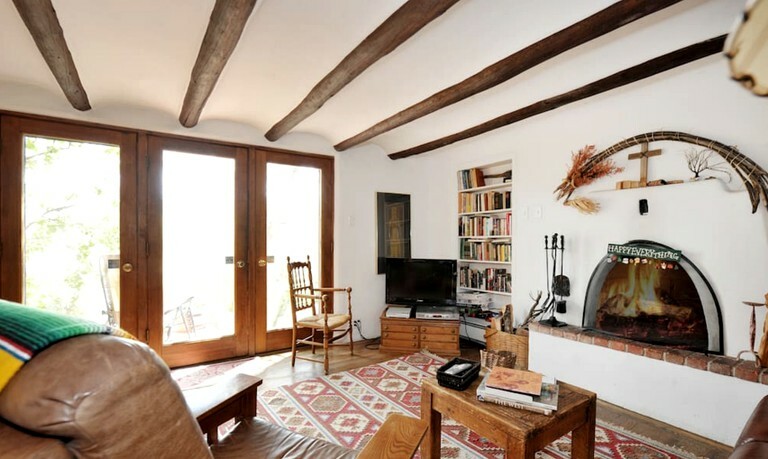 The living room has a TV with satellite and a DVD player, and Wi-Fi is available throughout the home. 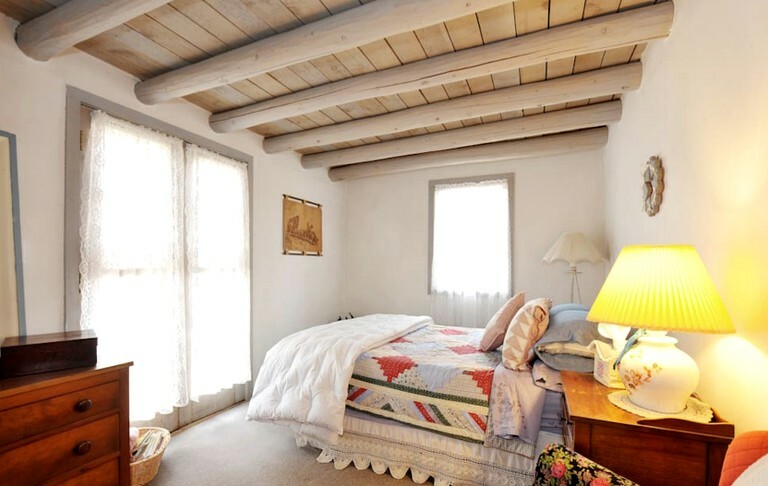 The cottage itself comes with a variety of charming amenities to make any stay both authentic and comfortable. 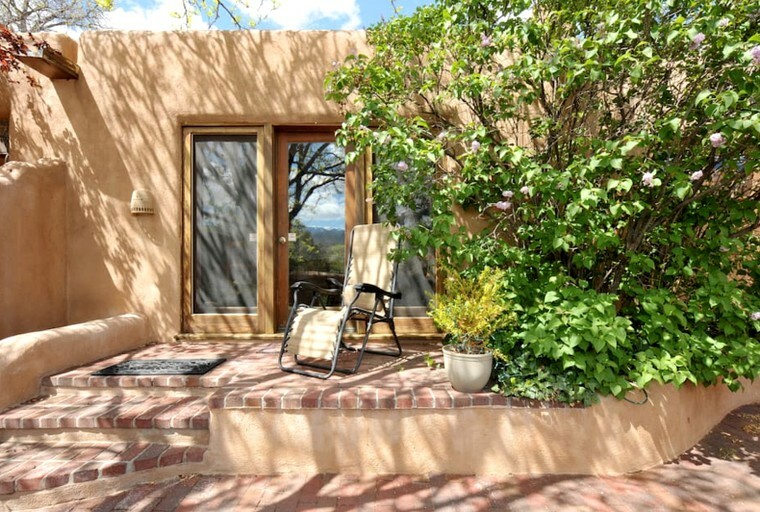 Both the large French-door living room and adobe-walled patio provide incredible views of the surrounding valley and mountains. 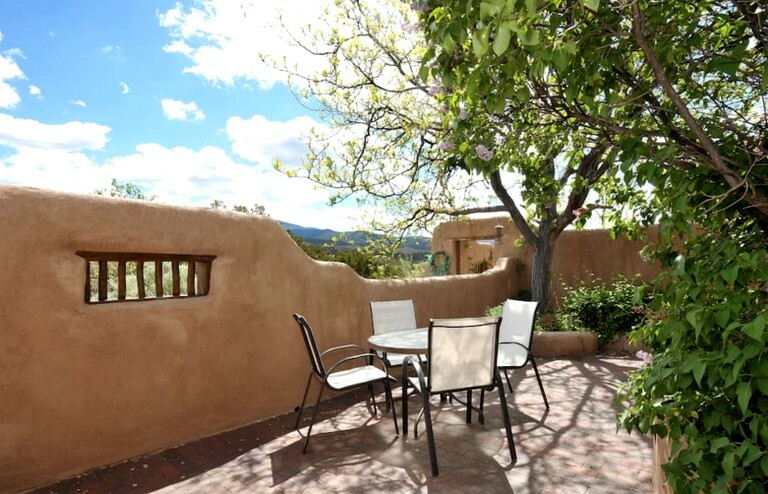 The kitchen comes very well-equipped, and nearby restaurants and grocers are located in both Tesuque and Santa Fe. 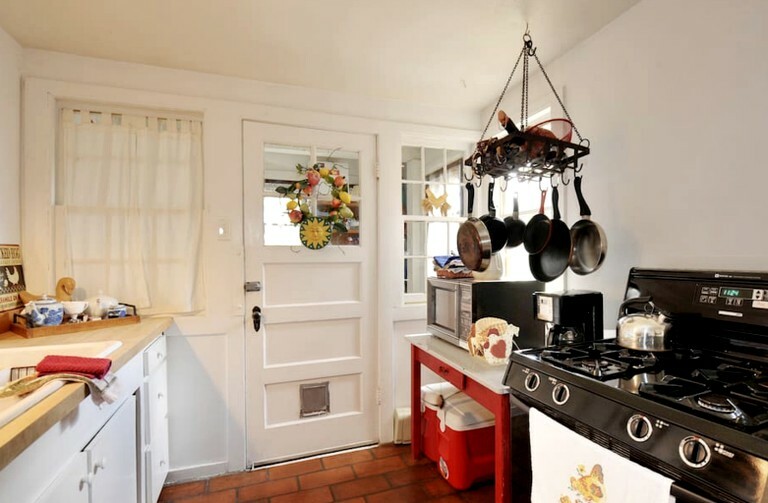 There is also a grill on the porch for those looking to cook with a view. 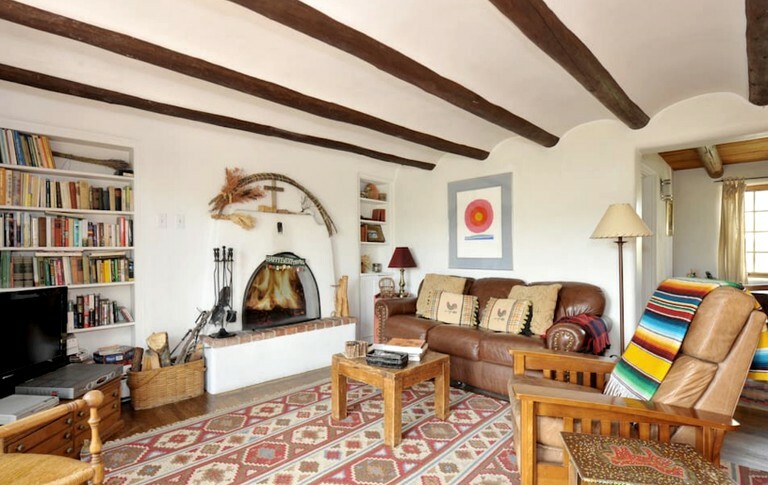 The living room is bright and cozy and has its own wood fireplace, as does the master bedroom. 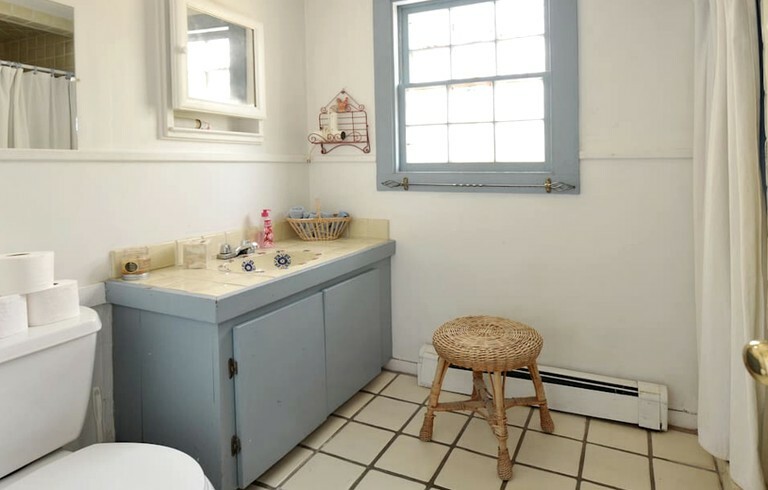 There are two bathrooms in the cottage, as well as a washer and dryer, and towels and linens come provided. 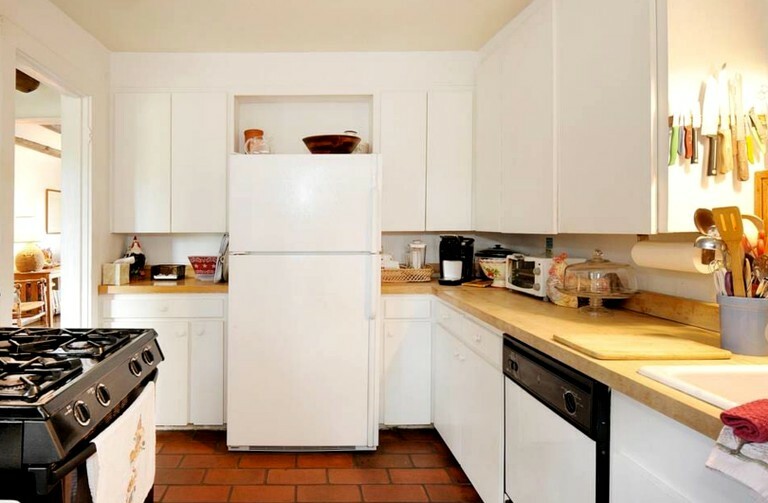 There is Wi-Fi throughout the home and plenty of parking is available. 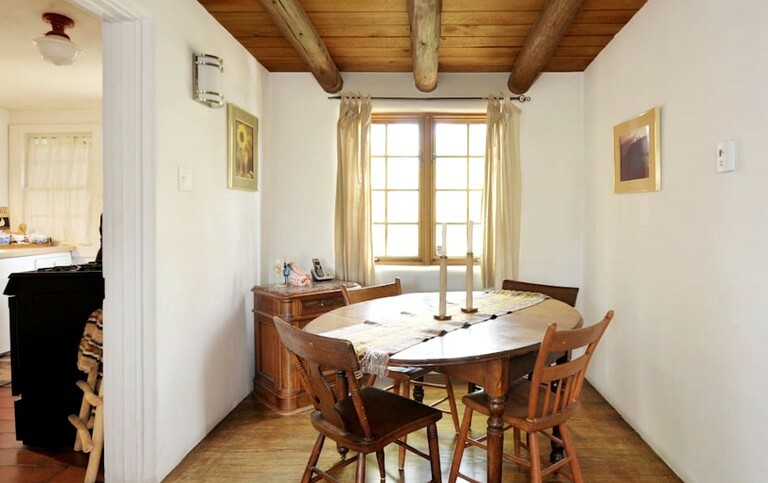 While it is conveniently close to the city center, this cottage still feels like it is set in the middle of nature, helped by the abundance of outdoor activities guests can do during their stay. 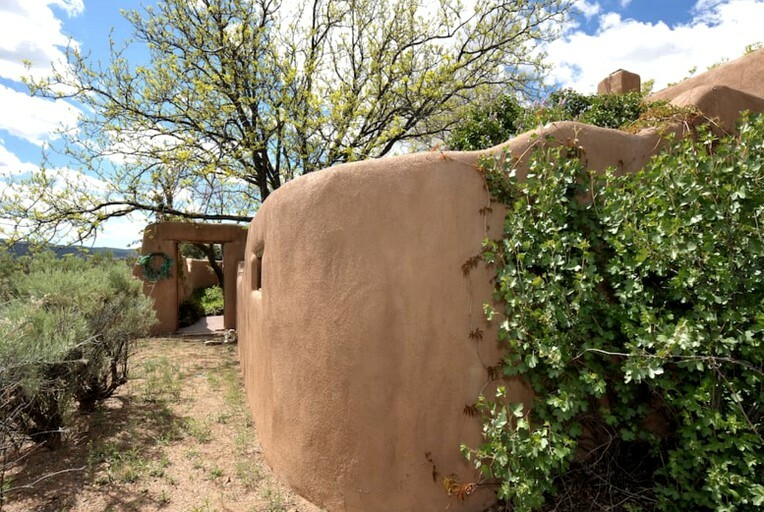 The surrounding area is full of mountain and desert hiking trails, as well as several Indian pueblos which are all worth viewing. 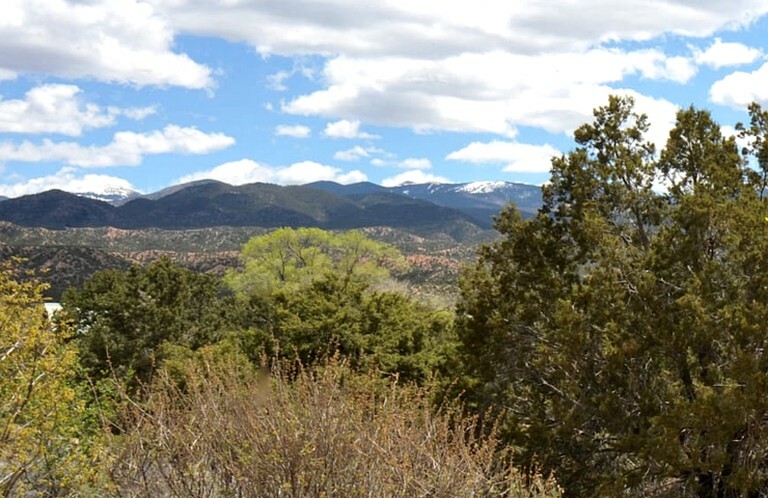 The Santa Fe Ski Basin provides the area with cross-country and downhill skiing, snowboarding, as well as other opportunities to hike, swim and explore. 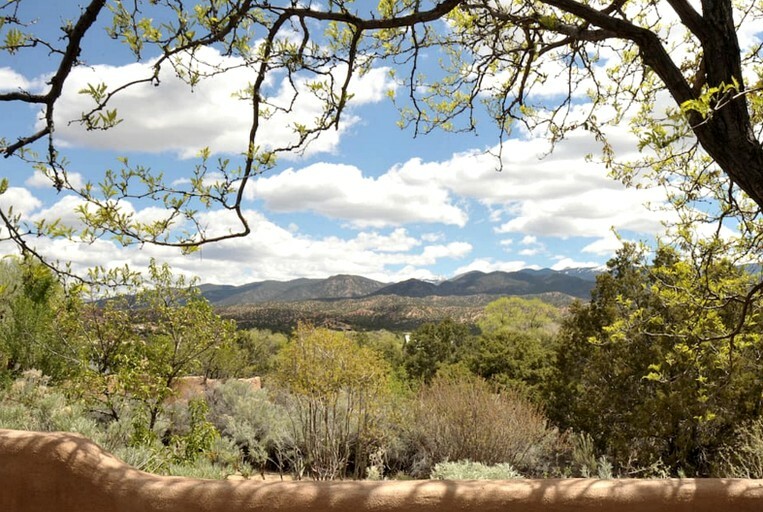 Those looking for a quieter afternoon around the Tesuque area can find a variety of recommended art galleries and museums, as well as plenty of spots for wildlife viewing. 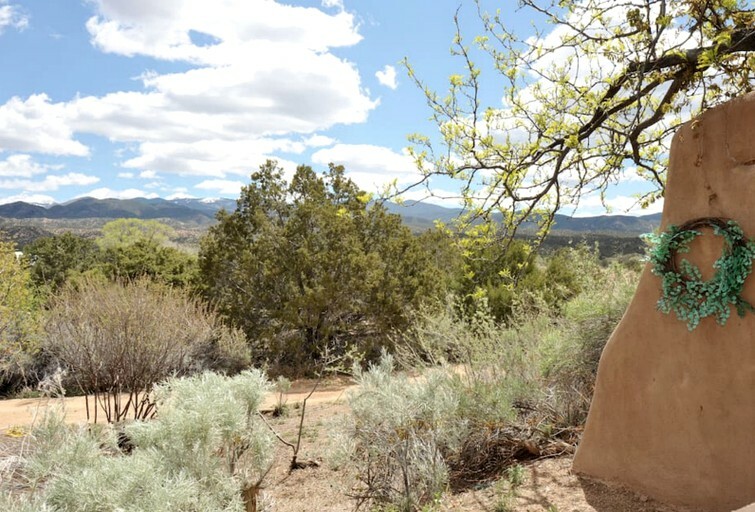 At the end of a long day, glampers can watch the sunset over the Tesuque Valley from behind the cottage. Pets are welcome. This property is non-smoking. 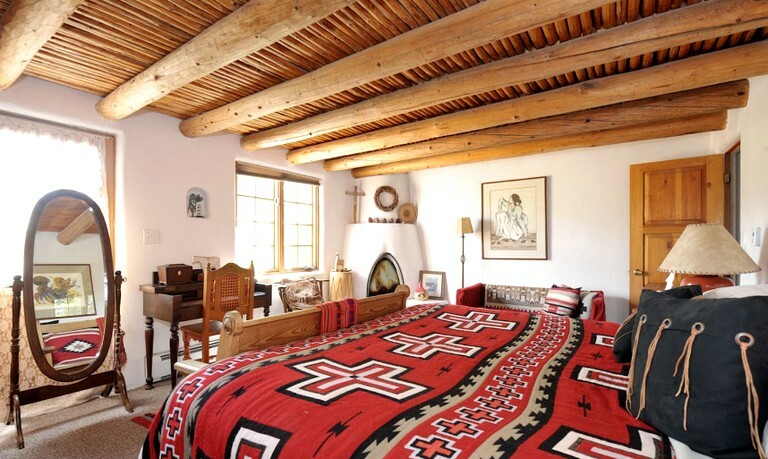 Rates vary according to the number of people, season, and number of days. 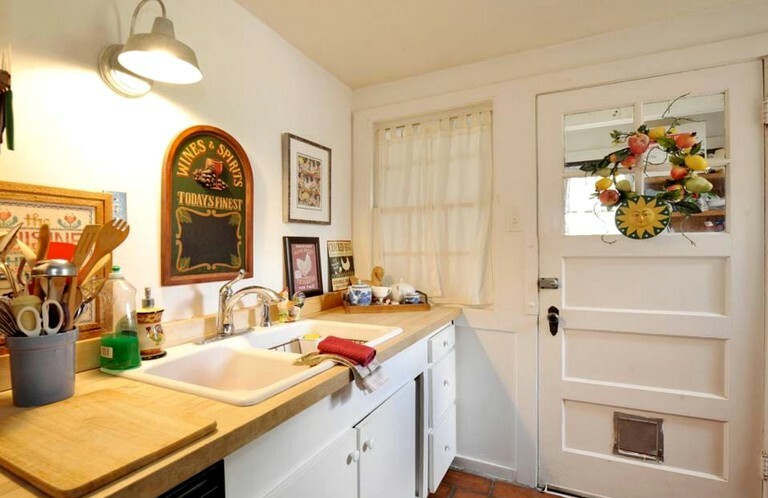 There is a six guest capacity.